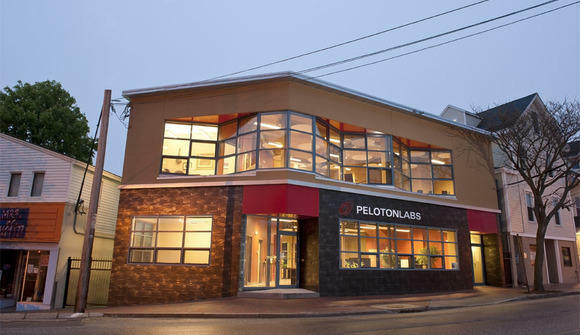 PelotonLabs is a modern two-story building on the West end of Congress Street in downtown Portland, about a 5 minute walk to Maine Medical Center and restaurants, and a 15 minute walk to USM or Monument Square. The first floor is has 18 desks in open format with a 8-person conference room, couches, kitchen, printer, bathroom, phone room, and deck. 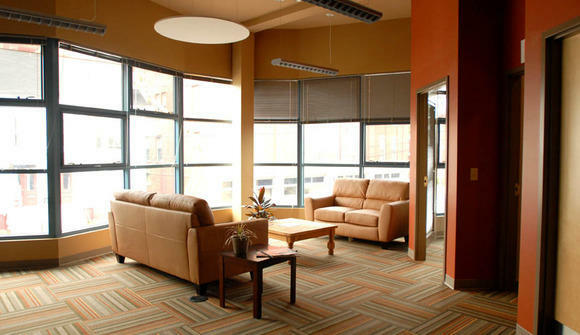 Upstairs is a cozy space that can accommodate events with up to 40 people, has couches, 5 desks, and four private offices. 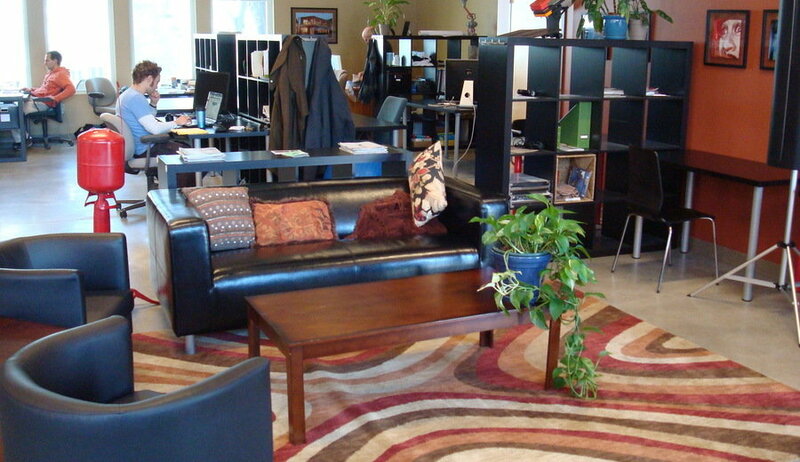 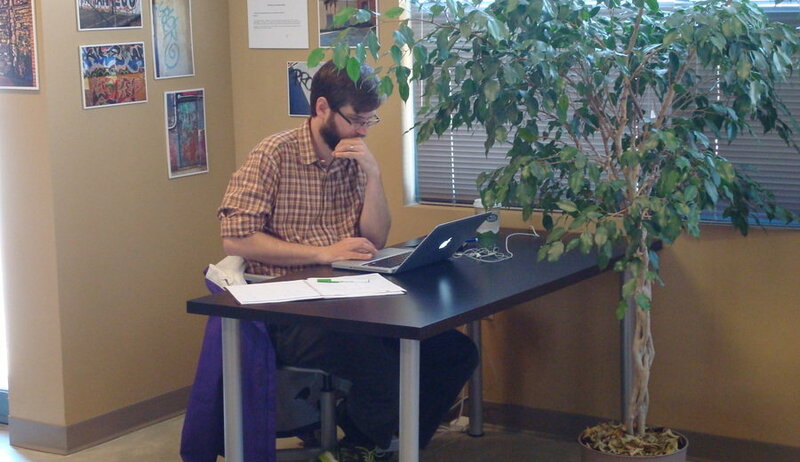 Our space is comfortable, quiet, urban, friendly, and has lots of natural light.